The story and analysis behind Global Grand Central. Presentation at ENCATC, Brussels, Sept 29, 2017 (11 minutes). Details of what we do below. Global Grand Central is a unique platform for learning and exchange amongst social, cultural and artistic activists worldwide. We pool resources to co-create an open and accountable system aimed to improve practice, make better research, and create smarter policies. The platform is a constant work in progress. In local communities all around the world, activists in the form of artists, culture institutions, libraries, social organizers, community leaders, sports clubs and educators develop activities to make people understand and respect each other. Through inclusive projects we engage with communities and perform a delicate art built on empathy, creativity, and experience. These initiatives are fundamental to local and global societies and form the basis of human rights, social justice, and peace. 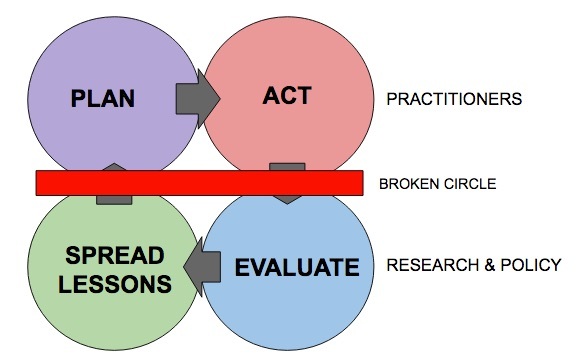 The ideal impact cycle, where we build on each others knowledge to become better. 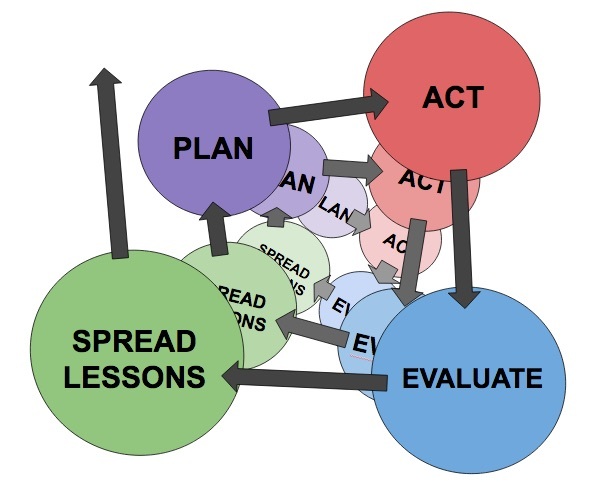 In an ideal world, social actions work together for the same ends – we plan activities aware of previous experience and knowledge, act, evaluate and spread lessons in a never ending cycle. By learning from mistakes and successes we contribute to improved understandings – and a better world. However, the current world of projects and learnings is not ideal. A number of systematic challenges stop us from building on each others knowledge between and across projects. The impact cycle is broken, knowledge does not cross between projects. At Global Grand Central we address five systematic challenges head on, based on research, analysis and constant feedback, seeking to establish an open international standard. In September 2017, Global Grand Central presented our analysis “Mobilising Networks Through Web-based Archival Practice” at an ENCATC research conference in Brussels. It was based on our work across Europe, and built the argument for establishing a new bottom-up evaluation and reporting standard – designed to enable learning across peers. The Global Grand Central platform is built on its arguments. We believe that credible and efficient governance is key to solve the above challenges. We intend to evolve the mechanics of influence carefully over time based on research and iteration. From September 1, 2017, the Global Grand Central platform is hosted by Global Grand Central non-profit, an association (“idéell förening”) registered in Sweden. The association is tasked with researching, testing, and implementing long-term solutions on governance, technology and funding. We are currently working under a three year plan until 2021. Come along to evolve forms, functions and designs! Global Grand Central is an alive platform and a constant work in progress. It is built and co-designed by its users. You are welcome to contribute! Europe Grand Central gathered experiences and lessons from 34 inclusive projects in 12 countries. 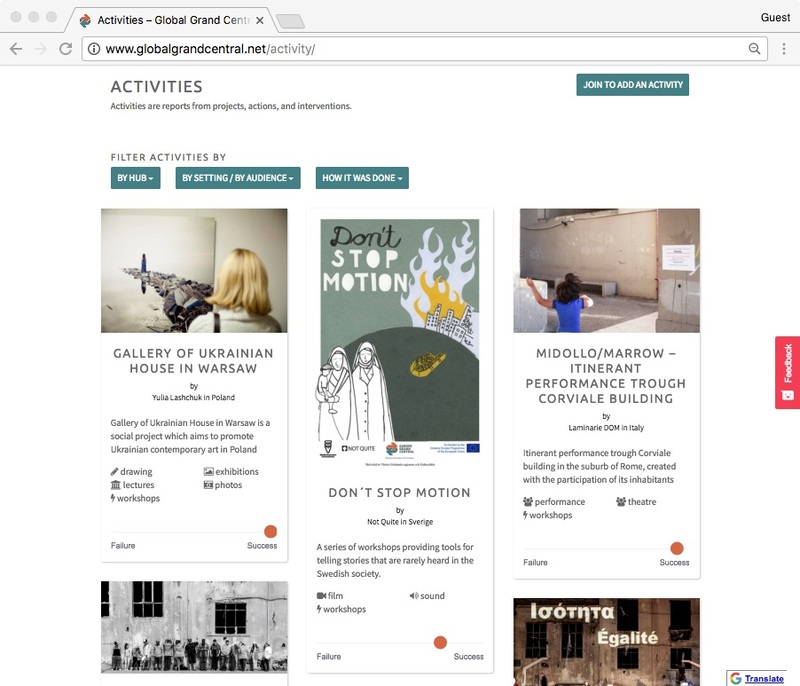 Images above from Activities in Bologna, Lublin, Athens, Bremen, Vienna, Åmål and Casablanca, and “legacy partner” activities in New York, Tunis, and London. 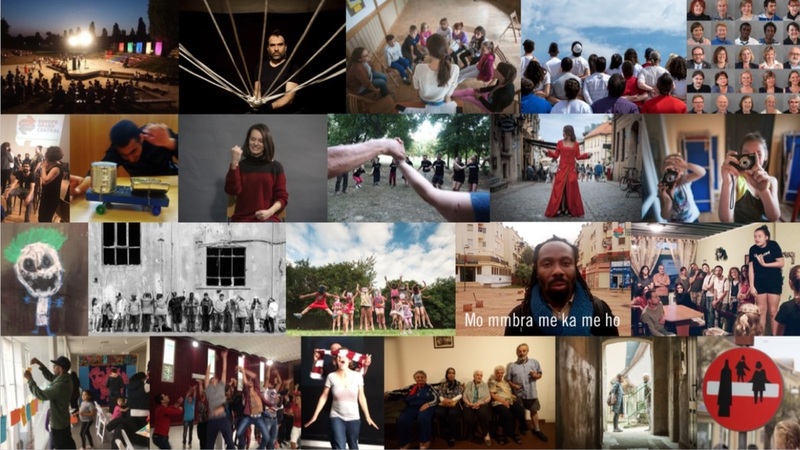 Global Grand Central was developed as the result of ‘Europe Grand Central’ – an international collaboration project by seven independent European culture networks, theaters and art centers from six countries between 2015 and 2017. Concepts and functions were iterated to enable learning between very diverse experiences. Until August 31, 2017, the platform was hosted by art center Not Quite in Fengersfors, Sweden, on a grant from the EU.